So here I am again, writing about having had an amazing experience eating out at a fabulous Leeds based restaurant - such a hard life, eh. Well, if I wasn't on a little bit of a mission at the moment to loose this baby weight then it would have been a total doddle - I would have ordered whatever I fancied and would have totally filled my boots with the amazing, calorie packed dishes on offer - but as it is I am trying (this week at least!) 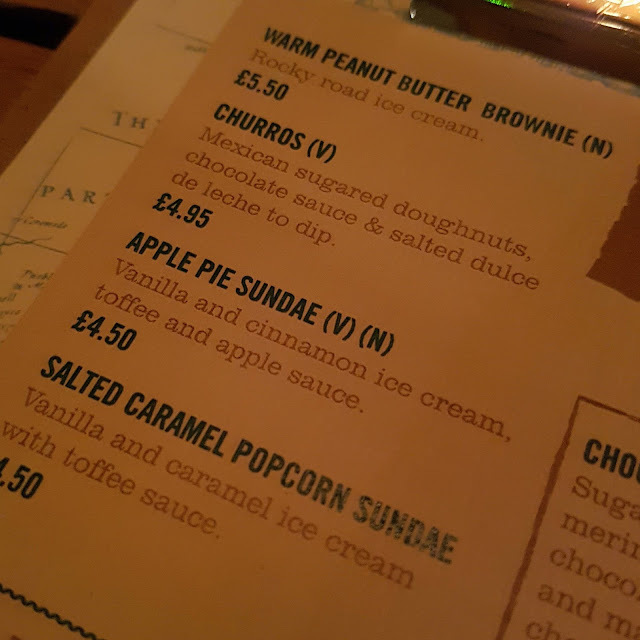 so I was all sensible and did a little menu related research before I left home. And I'm really glad I did take a little time to see what was on offer actually, because as it turns out, our venue of choice - The Pit (Leeds Centre) actually did cater for my current healthy food kick. So, all ready and menu prepared, off we went. Our first "blogger outing" as a family of four. 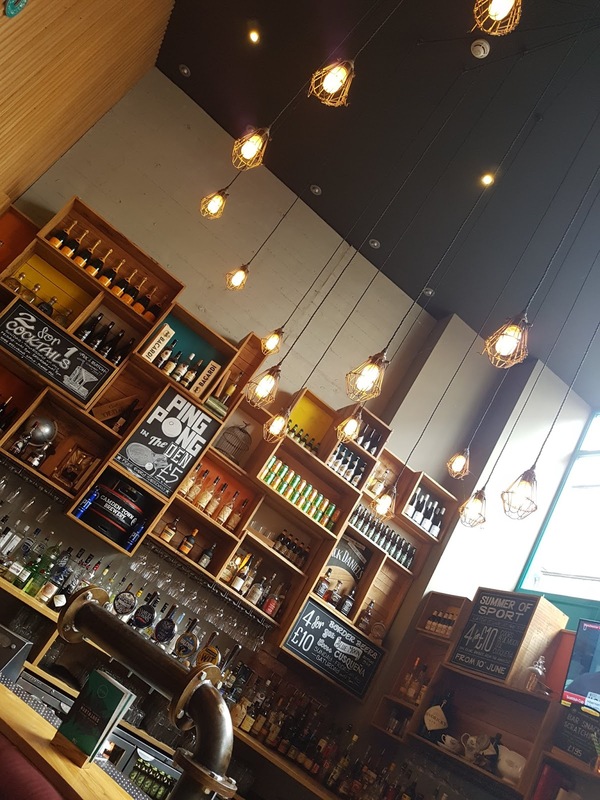 The atmosphere was very relaxed and laid back and I was immediately hit with a sense that this would be the perfect place to come with friends for a chilled out drink and a bite to eat. The Pit first opened in 2013 and is one of many bars for it's very successful owners and, as the name suggests, it is housed slightly below ground level. Which, as fabulous as it was in helping to create a unique atmosphere it actually presented us with probably our only stumbling block of the day. As we are now a family of four, it is quite a rarity that we manage to get out all together but when we do we like to make the most of it and love nothing more than really enjoying the time we have together. Naturally, this usually involves food and we love discovering new little gems of places to visit. However, being out of the house for any length of time with a little person means that we always have a huge amount of "stuff" in tow, more often than not a pram too. But entering a slightly underground restaurant means there will (obviously) be a few steps to deal with - and these steps were fairly steep at that. If the Hubby hadn't been with me to grab the pram and the heavy, crammed baby bag whilst I took charge of baby I think I would have struggled to even get through The Pit door because my usual "bumping" the pram down the steps wouldn't have been possible at all. And I mean if there was another "easy access entrance" into the bar it would have been fab to have had it pointed out to me...just in case I ever do decide to pop back again without the Hubby and his helpful extra two arms. And once we were settled in, we had a little deliberation over the menu and ordered our drinks. ...yeah - he loved it and I caved and had the teeniest of sips too and yes, it was just as good as it sounds. In Charlie's words "the after-taste hits you and is sooo nice"
This drink was by far the most exciting of our three choices - mine was a boring diet coke and the Hubby's a beer - nice but not photo worthy. I remained strong and I'm actually so glad I did because I was really impressed with my choices. First up, we had starters which arrived in the most adorable mini hot plate pans. Now my chicken - although I removed the skin which took with it most of the hot sauce - was still really spicy-hot which was just perfect for me. The meat was cooked spot on and I found no faults at all. 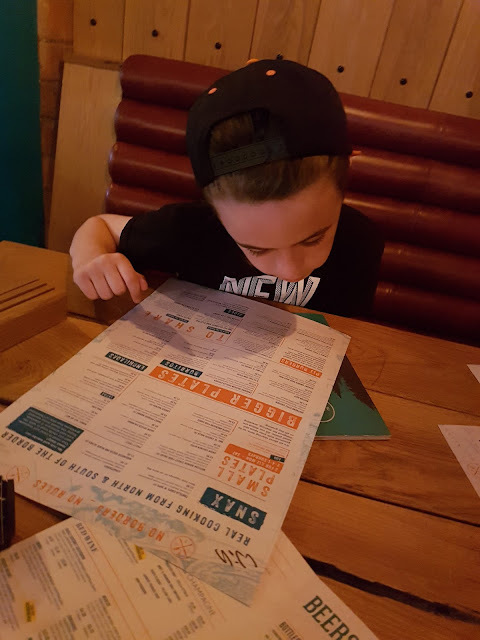 The Hubby's BBQ ribs were snaffled in next to no time - he was impressed with how succulent and tender the meat was, as was my (usually no onion or tomato eating) son on the tastiness and crispness of his nachos and dips. We've had nachos before at other places and found them to taste quite soft and soggy so it was obvious that this little plate was very freshly made because they were fresh, crisp and very flavoursome. And they set us up nicely for our main options. Again, I chose "wisely" and opted for the "Cracking Mexican Grilled Chicken" with a salad and requested my dressings on the side. For me, picking a salad when I'm eating out is not something I find natural to do - I love food and it's usually a case of the stodgier the better. But actually, when this dish was placed in front of me I was very pleasantly surprised. The chicken smelt amazing and the fabulous staff even cooked it for me without it's oily chimichurri marinade. 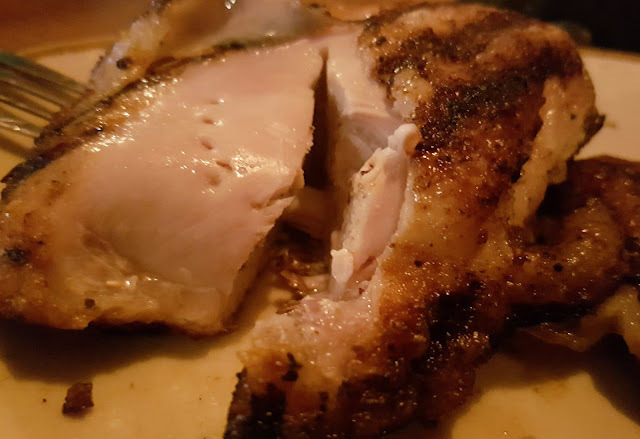 Again, I removed the skin from the chicken breast and still found the meat underneath to be packed full of flame-grilled flavour and it was so tender. I can find chicken breast really dry at times but not this - it was beautiful - I couldn't get enough of it. 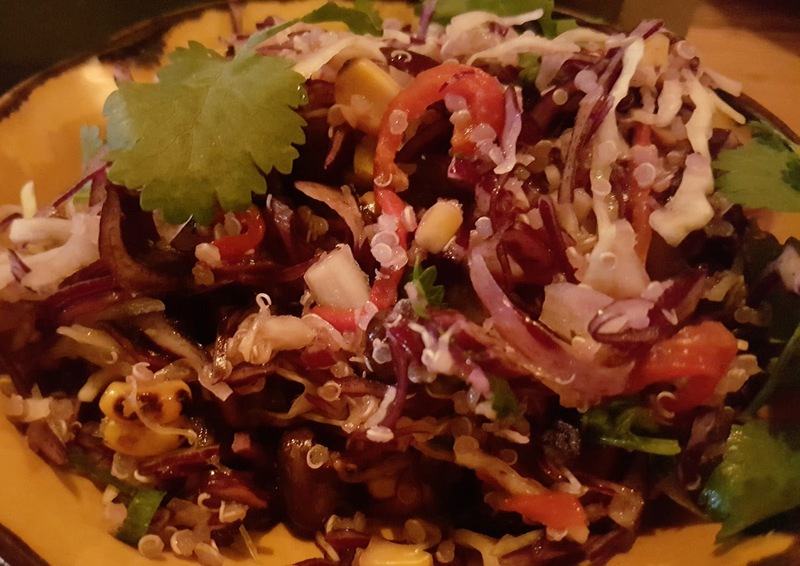 And as for the salad, I've never had a Mexican quinoa salad before but this was a perfect chicken accompaniment and it was so blooming tasty and really more-ish. Certainly not a "boring salad" at all. I actually couldn't finish the plate of food (not finish a salad!? Are you joking!) but it wasn't without trying let me assure you, it was just so filling. They looked amazing and (as if I need to state this) were demolished in record time, which speaks for itself really doesn't it. 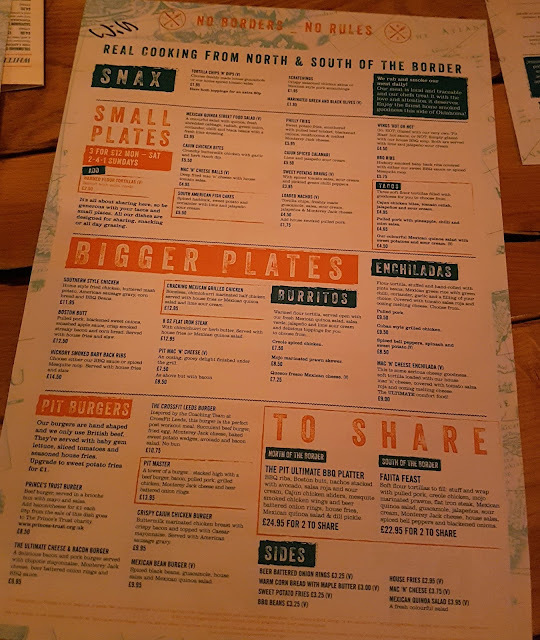 So, in a little "The Pit Summery", I thought the food was nice, the layout (apart from the stairs and lack of baby changing facilities) was quite unique, and the atmosphere was really chilled out and laid back. I'm sure we'll be back at some point anyway.